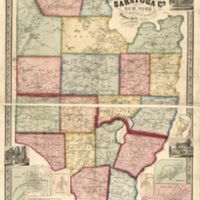 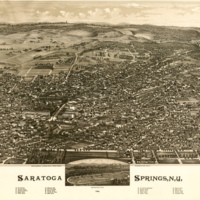 Saratoga Springs, NY, established as a separate district within the town of Saratoga in 1819, became an independent village in 1826 and received a city charter from the state of New York in 1915. 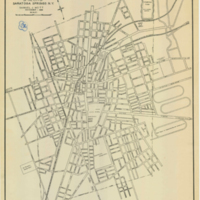 These timeline maps offer a snapshot of the city's growth and development from the early years, through its nineteenth-century heyday as a playground of the rich and (sometimes) famous, and twentieth-century retrenchment and redevelopment. 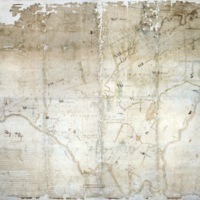 Click on any map in the Map Gallery to find out its story. 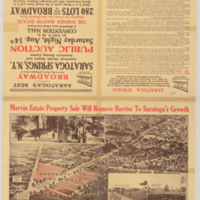 A separate timeline identifies key dates in the city's development. 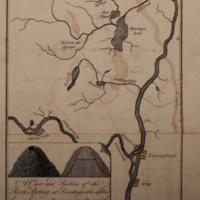 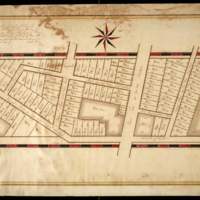 In the twenty first century, paper maps remain a wonderful source for historical information. 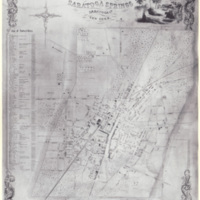 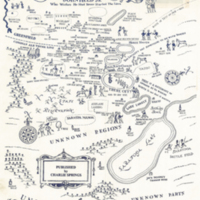 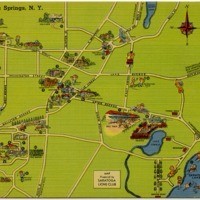 Visitors and residents can still find paper maps in Saratoga Springs, whether the tourist maps that advertise key attractions and businesses, or walking tour routes in brochures from the Visitors' Center. 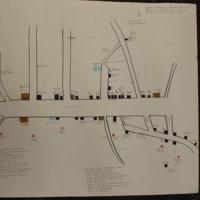 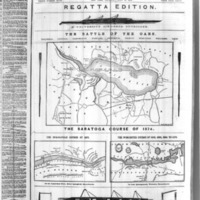 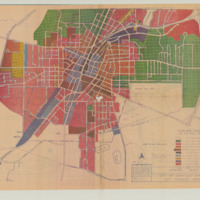 But many more maps are available as digital documents. 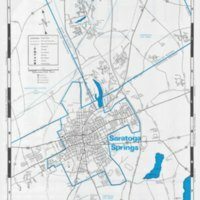 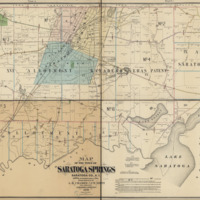 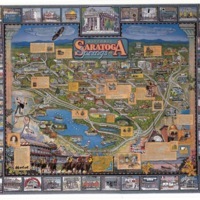 Saratoga Springs' zoning maps, the Saratoga Convention & Tourism Bureau's interactive map, and the Saratoga County Chamber of Commerce interactive city map (by JIMAPCO) offer examples of the kind of device-friendly maps today's visitors might consult to make their way through and around the Spa City.